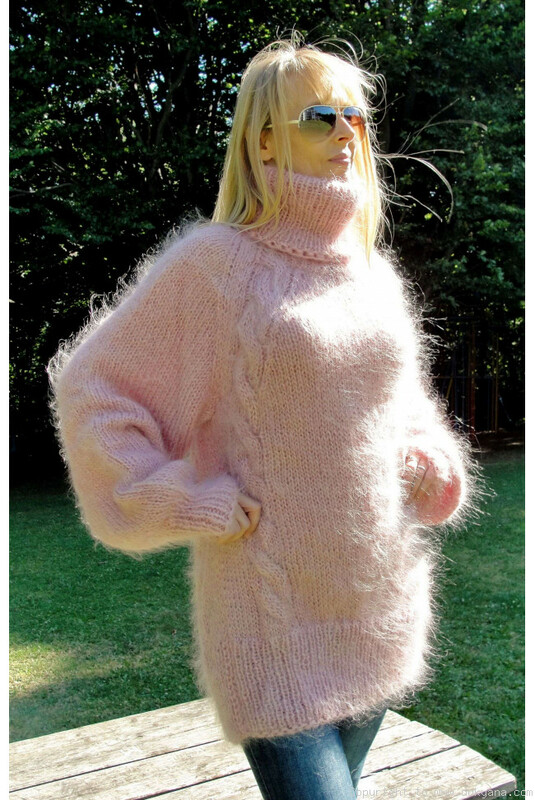 Hand knitted soft mohair Tneck sweater. Raglan sleeve for one-size fit. Can be knitted to custom dimensions and colour.